From the film industry again a victim of image morphing. 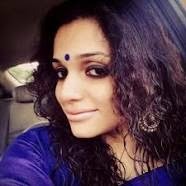 Now Malayalam actress Ann Augustine, who is married to Jomon T John and now, settled in a family life. Some private pictures of Ann are being circulated on social networking platforms like facebook and whatsapp. The actress has filed a complaint with the cyber cell. Few days ago it was Lakshmi Menon who was a victim of image morphing and her video of a bathing scene is doing the rounds on social media.